Churches all over the world have been invited to pray for the reunification of the Korean Peninsula. 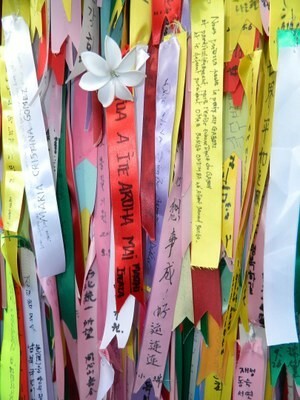 The theme for the prayer is based on Romans 14:19: “Let us then pursue what makes for peace and for mutual upbuilding.” The day of prayer will occur two days before Liberation Day in Korea (Aug. 15), which is when people celebrate Korea’s liberation from Japanese colonization. In a letter of invitation to member churches, the Rev. Dr. Olav Fykse Tveit, general secretary of the World Council of Churches, and the Rev. Dr. Chris Ferguson, general secretary of the World Communion of Reformed Churches, invited parishes and individuals across the world to pray for the reconciliation and healing of the divided Korean Peninsula. The World Council of Churches promotes Christian unity in faith, witness and service for a just and peaceful world. An ecumenical fellowship of churches founded in 1948, today the WCC brings together 348 Protestant, Orthodox, Anglican and other churches representing more than 550 million Christians in over 120 countries, and works cooperatively with the Roman Catholic Church. The WCC general secretary is the Rev. Dr. Olav Fykse Tveit, from the [Lutheran] Church of Norway.